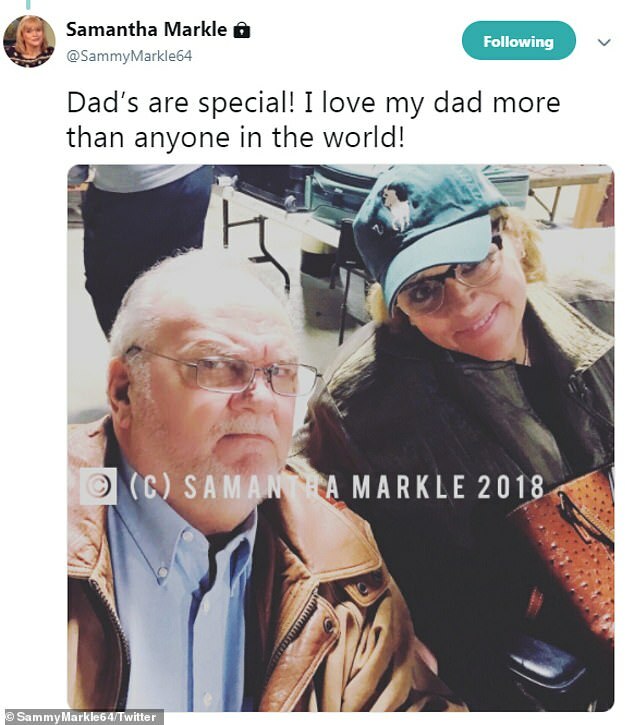 Meghan Markle’s sister Samantha spent the Thanksgiving holiday with their father Thomas as she boasted of their close bond on social media. 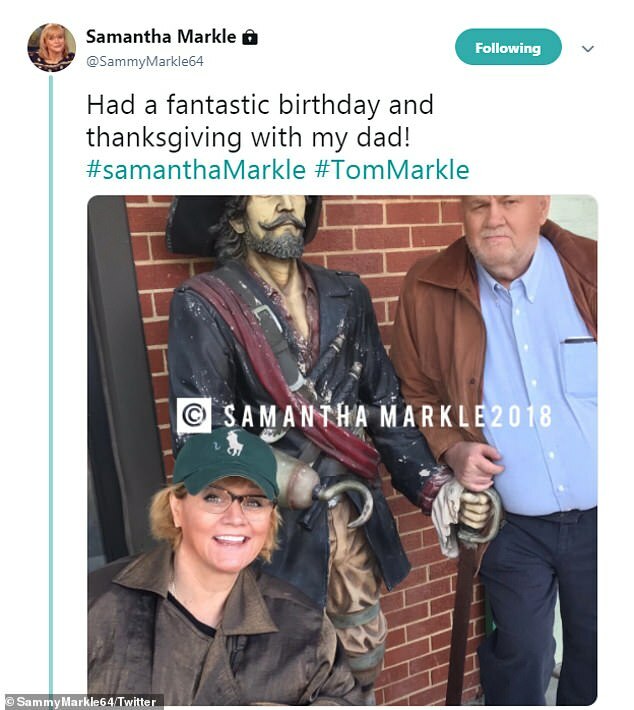 Samantha took to Twitter over the weekend to share a number of photos of her posing with her father during the holiday. The photos show the father-daughter duo smiling in two different selfies. ‘Had a fantastic birthday and Thanksgiving with my dad! #samanthamarkle #tommarkle,’ one photo caption read. In the other caption, the 53-year-old boasted of her close bond with her father. ‘Dad’s are special! I love my dad more than anyone in the world!’ she wrote. 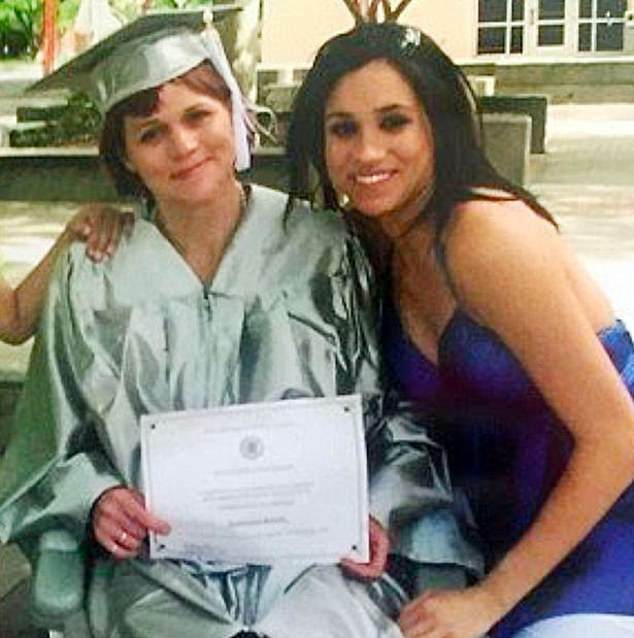 It comes after Samantha, who suffers from multiple sclerosis and uses a wheelchair, has made several public pleas to her pregnant sister Meghan in a bid to get her to reunite with their father. Thomas, a former Hollywood lighting director, missed his daughter’s wedding to Prince Harry after undergoing heart surgery. He has since publicly claimed she has ‘cut him out’ and is devastated he ‘may never meet’ his grandchild. 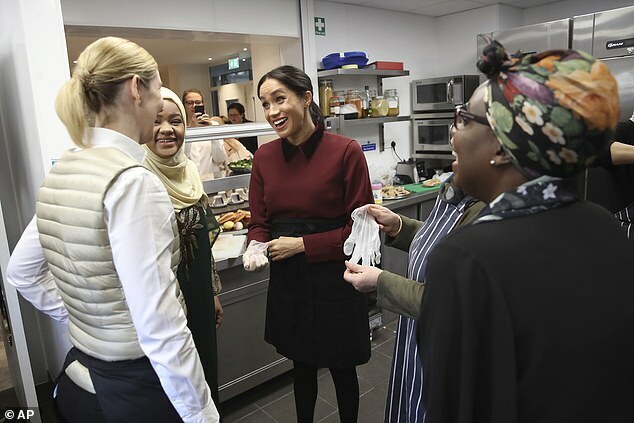 Meghan’s estranged family have made numerous public claims ever since she was plunged into the global spotlight as the Duchess of Sussex. Samantha reveled earlier this month that she plans to hijack the birth of her sister’s baby with a tell-all book that she claims will expose Meghan’s ‘lies’. She wants to release her book, In The Shadows Of The Duchess, in April or May to coincide with the birth of the royal baby. Samantha has talked about a memoir for months and previously said it would be called ‘The Diary of Princess Pushy’s Sister’. However, she now claims to have added even more to the book and will ‘hold nothing back’ on what she claims her sister is really like. ‘In The Shadows Of The Duchess covers everything… the world does not know truth total truth… (I’m) holding nothing back! From lullabies to lies.. it’s all there in my book,’ she told the Daily Star.